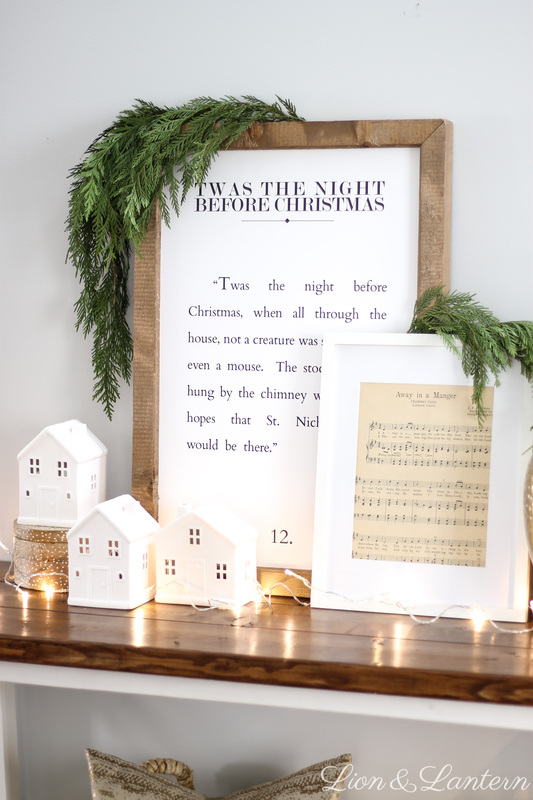 A simple and classic Christmas entryway styled with fresh cedar, woods and whites, vintage sheet music, ceramic houses and twinkle lights. Christmas villages are so classic and nostalgic. I have cherished memories of putting up my grandma’s village each year. 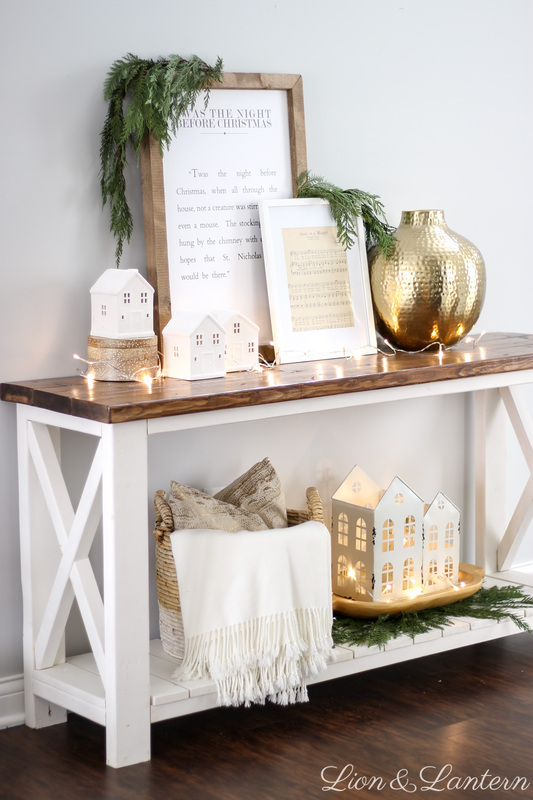 As children, my sister and I would stay with my grandparents and spend a full weekend making their home festive for the season. Setting up my grandma’s collection of snowy houses and shops, miniature ice rinks, bottle brush trees and faux cobblestone walkways was by far the highlight of the weekend. After we had carefully placed each piece, we tucked faux snow around the houses and sprinkled glitter atop the roofs. It was a labor of love and something I will always remember. 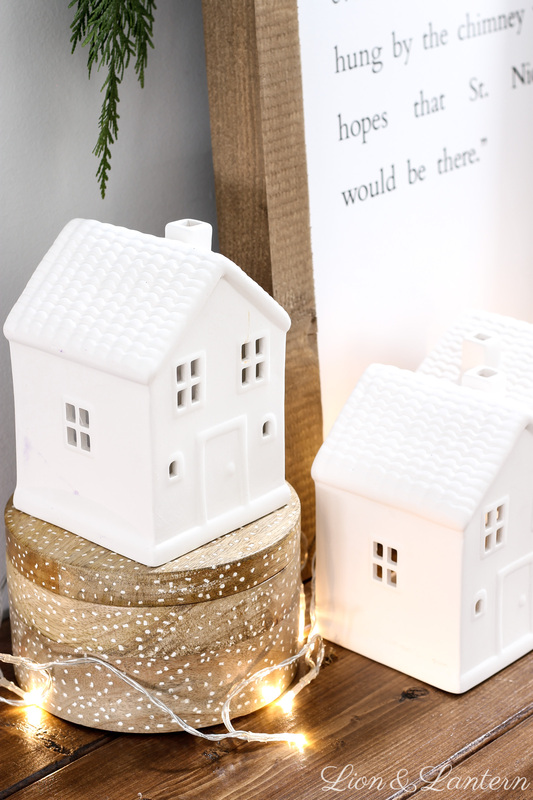 For our home, a simple village of white ceramic houses adds that cozy, magical touch while blending with our decor style. 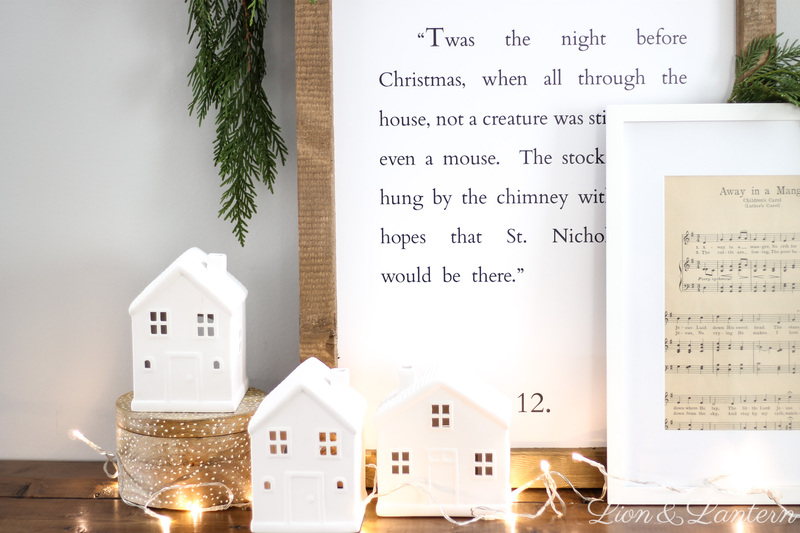 The tiny windows and twinkle lights within still inspire excitement for me as I remember those childhood Christmases! 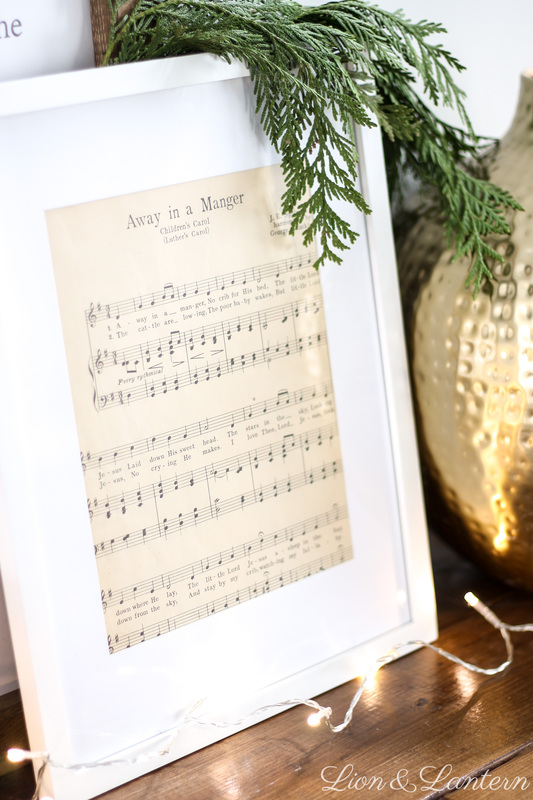 I also included some vintage Christmas sheet music. 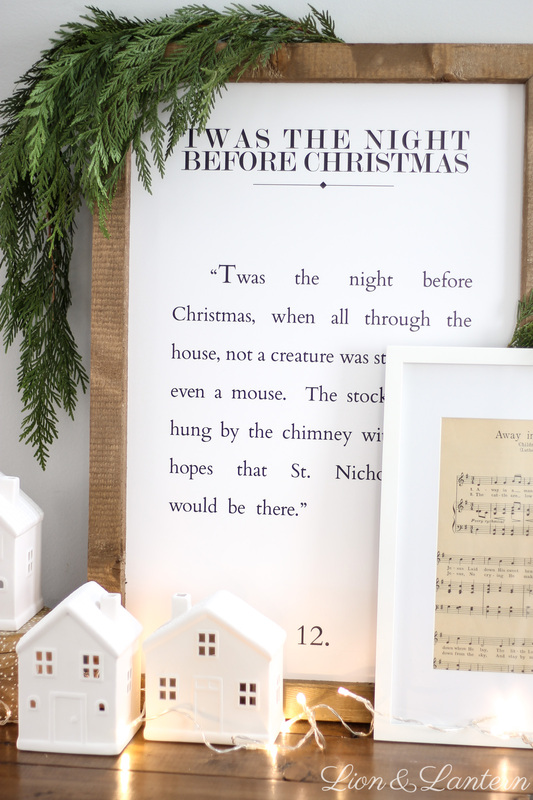 You may have seen these pieces around our home if you’ve been following along this season! 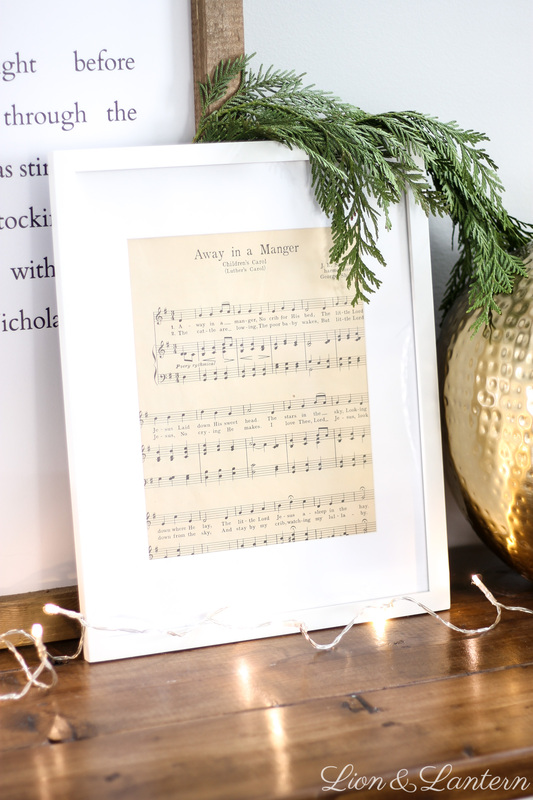 Christmas carols are such beautiful reminders of the true hope and joy of the season, and I’ve enjoyed incorporating them in our festive decor this year. 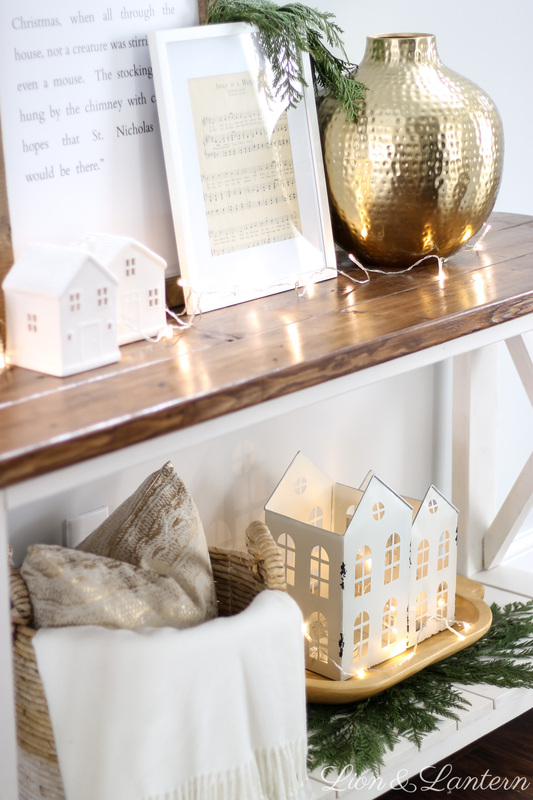 If you saw our Cozy Christmas Bedroom, you know that I used fresh pine on our headboard. 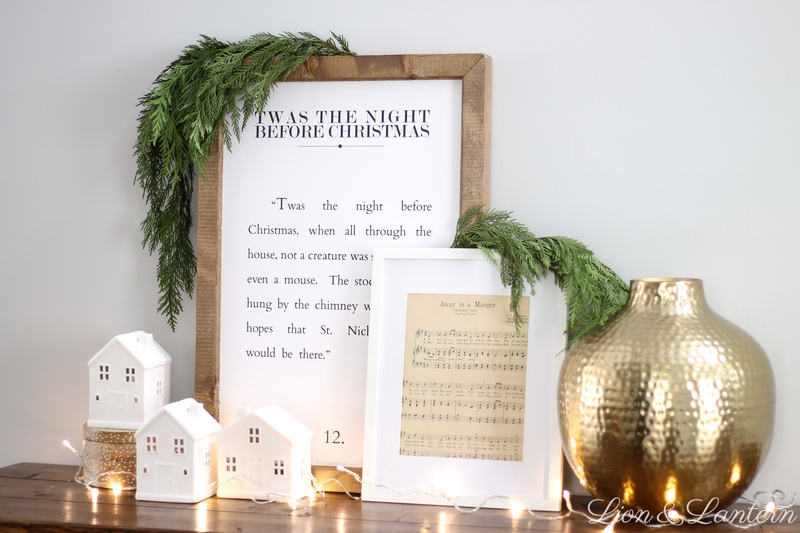 I had never used fresh greenery for the holidays before this year but am loving the natural, woodland look. 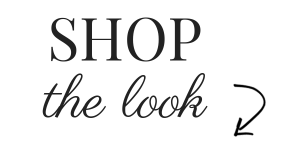 Here I decided to use a few fresh cedar branches that I purchased at my local grocery store. I simply tucked them behind the frames. 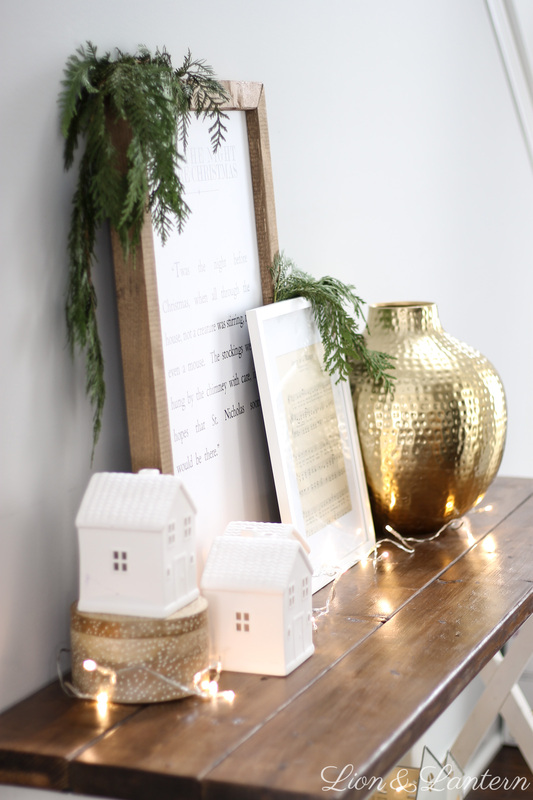 To fill out this festive space, I stuck with decor staples that I use year round. 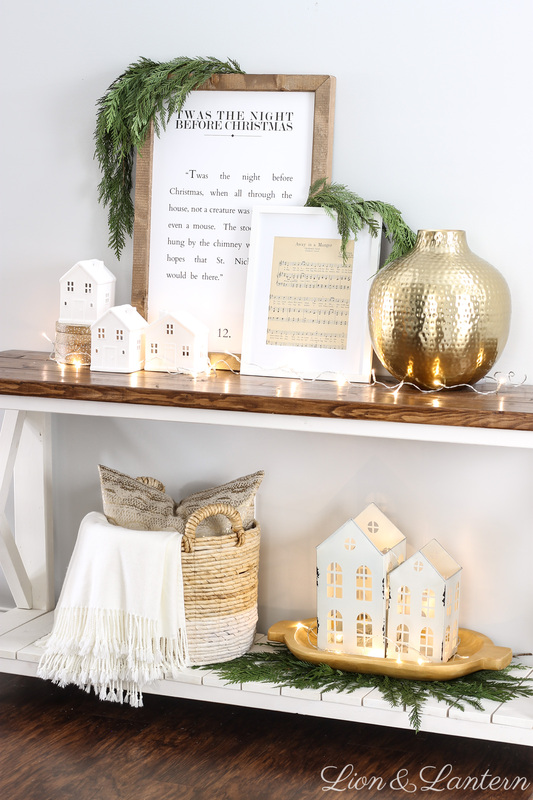 A hammered gold vase, woven basket, white throw, and wooden tray create the base for this simple and classic Christmas entryway. Thank you so much for stopping by today friends! As this will be my final post before the big day, I wanted to wish you a merry Christmas, filled with the hope and peace that only comes from our Savior.